This is a quick guide/tutorial on socket programming in python. Socket programming python is very similar to C.
To summarise the basics, sockets are the fundamental "things" behind any kind of network communications done by your computer. For example when you type www.google.com in your web browser, it opens a socket and connects to google.com to fetch the page and show it to you. Same with any chat client like gtalk or skype. Any network communication goes through a socket. In this tutorial we shall be programming tcp sockets in python. You can also program udp sockets in python. 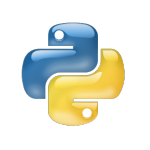 This tutorial assumes that you already have a basic knowledge of python. So lets begin with sockets. This first thing to do is create a socket. The socket.socket function does this. If any of the socket functions fail then python throws an exception called socket.error which must be caught. We connect to a remote server on a certain port number. So we need 2 things , IP address and port number to connect to. So you need to know the IP address of the remote server you are connecting to. Here we used the ip address of google.com as a sample. Before connecting to a remote host, its ip address is needed. In python the getting the ip address is quite simple. Now that we have the ip address of the remote host/system, we can connect to ip on a certain 'port' using the connect function. It creates a socket and then connects. Try connecting to a port different from port 80 and you should not be able to connect which indicates that the port is not open for connection. This logic can be used to build a port scanner. OK, so we are now connected. Lets do the next thing , sending some data to the remote server. The concept of "connections" apply to SOCK_STREAM/TCP type of sockets. Connection means a reliable "stream" of data such that there can be multiple such streams each having communication of its own. Think of this as a pipe which is not interfered by data from other pipes. Another important property of stream connections is that packets have an "order" or "sequence". Function sendall will simply send data. In the above example , we first connect to an ip address and then send the string message "GET / HTTP/1.1\r\n\r\n" to it. The message is actually an "http command" to fetch the mainpage of a website. Google.com replied with the content of the page we requested. Quite simple! Function close is used to close the socket. This kind of socket activity represents a CLIENT. A client is a system that connects to a remote system to fetch data. The other kind of socket activity is called a SERVER. A server is a system that uses sockets to receive incoming connections and provide them with data. It is just the opposite of Client. So www.google.com is a server and your web browser is a client. Or more technically www.google.com is a HTTP Server and your web browser is an HTTP client. Now its time to do some server tasks using sockets. Function bind can be used to bind a socket to a particular address and port. It needs a sockaddr_in structure similar to connect function. This makes it obvious that you cannot have 2 sockets bound to the same port. There are exceptions to this rule but we shall look into that in some other article. After binding a socket to a port the next thing we need to do is listen for connections. For this we need to put the socket in listening mode. Function socket_listen is used to put the socket in listening mode. Just add the following line after bind. The parameter of the function listen is called backlog. It controls the number of incoming connections that are kept "waiting" if the program is already busy. So by specifying 10, it means that if 10 connections are already waiting to be processed, then the 11th connection request shall be rejected. This will be more clear after checking socket_accept. Now comes the main part of accepting new connections. Function socket_accept is used for this. So we can see that the client connected to the server. Try the above steps till you get it working perfect. We havent done a lot there. Just put the socket_accept in a loop. Now run the server program in 1 terminal , and open 3 other terminals. From each of the 3 terminal do a telnet to the server port. So now the server is running nonstop and the telnet terminals are also connected nonstop. Now close the server program. All telnet terminals would show "Connection closed by foreign host." Good so far. But still there is not effective communication between the server and the client. The server program accepts connections in a loop and just send them a reply, after that it does nothing with them. Also it is not able to handle more than 1 connection at a time. So now its time to handle the connections , and handle multiple connections together. To handle every connection we need a separate handling code to run along with the main server accepting connections. One way to achieve this is using threads. The main server program accepts a connection and creates a new thread to handle communication for the connection, and then the server goes back to accept more connections. We shall now use threads to create handlers for each connection the server accepts. The above connection handler takes some input from the client and replies back with the same. By now you must have learned the basics of socket programming in python. You can try out some experiments like writing a chat client or something similar. When it comes up, simply change the port number and the server would run fine. Hi, having followed all of the above on a raspberry pi running an ADHOC network, I’m running into Error Code: -3, Temporary failure in name resolution. Any idea what’s causing this and how to fix it? This is now all fixed. However this week all my Pis stopped connecting to each other and wouldn’t assign my PC an address from the subnet – I hadn’t touched them in this time, just started them up and nothing. I have reconfigured it all now though. Strange but any ideas what could’ve caused this? First thank you for a great tutorial. Computer 1 is Ubuntu and computer 2 is windows. The code runs ok when both the client and server are on computer 1. What do I have to do to make the code work between two computers?